Fourteen guided visualizations to help align your goals with the universe’s plan for you. Have you ever felt the magic of being in the right place at the right time, when you and the universe seemed to be working in effortless cooperation? If so, you have already witnessed what Rick Jarow calls the "Alchemy of Abundance"—the fusion of internal forces and external experience that transmutes the "base metal of a stagnant life" into the gold of full and open participation in every unfolding moment. 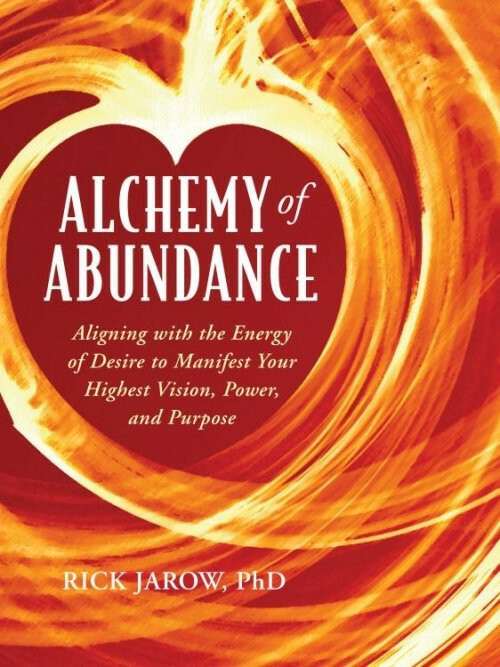 In Alchemy of Abundance, Jarow reveals the miracle that happens to you when you align your inner energies—your passion, creativity, attention, and will—with the power of the universe itself to make manifest your unique purpose. Includes in-depth exercises and guided visualizations to strengthen your faith in yourself, cultivate patience and generosity, and bring your goals into harmony with the plan the universe has for you. NOTE: Cover depicted above refers to the paperback edition.